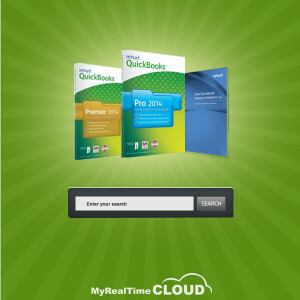 How Has QuickBooks Enhanced Its 'Search' Options? Every application needs a ‘Search’ option to make its user to looks for the requisites efficiently from the pool of data available. On placing the query, the specific software should be able to throw the complete information that matches with the keyword. Search can be defined in any application by the use of most sought keywords. Sometimes, it may happen that after putting all efforts of finding the relevant data you don’t get any information. The uneasiness reaches to the level of frustration when it displays the message ‘No results found’ even after the availability of data. To help accountants surpass the tough phase of finding relevant results, Intuit QuickBooks software has revamped its ‘Search’ options. Let’s see how QuickBooks Search has been enhanced for better results! The database so created is search friendly: The database of Intuit QuickBooks software is designed in such a way that the information can be easily accessed through certain paths that can be reached by the concerned algorithms. The benefit of multi-algorithm search is that it will show the search results for every possibility of keywords and thus, even the vague queries can have prominent results. Advanced search option is now included: Advanced search option is now introduced in QB software. This option utilizes some special algorithms along with cache to deliver the results in a short span of time. The results can appear on the same page or multiple pages as per customer request: Here, the user has an option to take the report on same page or on multiple pages. The software gives the option to take the print in different formats like Ms-Excel, RIF, and PDF etc. In-product help integrated through search: Many customers are not tech-savvy. For such customers, QB withholds help guide to assist them in finding the relevant information trough integrated search. Search Suggestion/ Tips: QuickBooks hosting gives its customers various tips and suggestions to search the required data. This software is structured in this way so that the customer could get the best possible result relevant to his queries. Option to add result data in saved files or archived: One of the best features that Intuit QuickBooks offers its customers is to save their result pages into various formats like excel, RTF, M-word, Zip to archive etc. These results can also be archived if desired. Intelligent suggestion of keywords: QB is enriched with readymade keywords. It senses the word typing and suggests the keywords matches with respect to what the user is entering. Index form data stored in the system: The database supporting QB software is index-based in form which makes it easier for the running algorithms to establish reference. On presenting an abstract view, users can understand that the data can be fetched in quite less time with this type of structural storage of data. More powerful search option than before: Betterment in Search algorithms are mostly influenced by the limitations of previous versions and Intuit has been working hard to frame a system that delivers the most appropriate results. This is a great factor in enhancing the usability of this already easy-to-use accounting application.